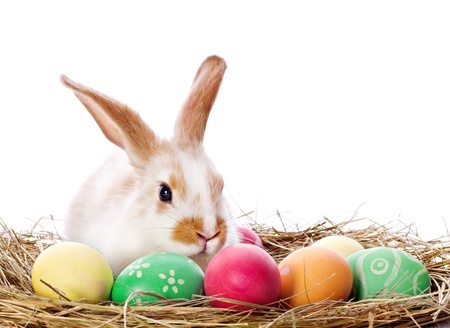 Family Fun Easter Events in the Fox River Valley! Easter is fast approaching! The communities of the beautiful Fox River Valley have tons of holiday events planned for all ages up until the big day! Check out all of these amazing, family friendly events occuring throughout our area! Easter egg hunts are not just for kids! Enjoy a night of adult fun with your own night time egg hunt. You may be the lucky one to win the grand prize, a 50" Flat Screen TV! There will be food and adult beverages available to purchase throughout the night. Register for Friday HERE or Saturday HERE! Teenagers aged 10 to 16 can have their own Easter fun during the fun team event that will have them solving clues and challenges in order to win a bunch of awesome prizes. After the race, there will be a traditional egg hunt in the dark. Register in advance HERE! Have a delicious breakfast with the Easter Bunny right before or after Geneva’s Annual Egg Hunt. Don’t miss the opportunity to have your photo taken with the Easter Bunny between 8:30 and 9:30 am or 10:30 and 11:30 am. Register HERE! Children can try to discover the 5,000+ eggs hidden in the SPRC soccer fields. There will be two separate egg hunt sections, including one for children ages 4 and under and those children ages 5 and over. Meet at the River View Minature Golf Court Yard for the annual egg hunt. Each child can find up to 10 eggs to fill their basket with. Bring your basket to fill with all the eggs you find during the annual hunt. Help support our community by bringing a non-perishable food item to donate to the Batavia Food Pantry. Your dog can get in on the holiday fun during their very own egg hunt. Each hidden egg is filled with doggie treats for them to enjoy! Dogs must remained leased at all times. There will be pet friendly vendors on site and the opportunity to win prizes from Healthy Pet Natural Pet Care Market at Pet Supplies "Plus". Register in advance HERE! The Easter Bunny is making special home visits throughout St. Charles! Children ages 1 through 7 will love being surprised by the Easter Bunny arriving at their front door! He will present each child with a special chocolate treat and photos can be taken. Register HERE! Let your beloved pet find some fun Easter treats and prizes. Dogs must be leashed at all times during the hunt. Don't miss the opportunity for your pooch to have their picture taken with the Easter Bunny! Register in advance HERE. Children ages 1 through 6 will have a fun morning decorating bunny pancakes, meeting the Easter Bunny, and participating in the Bunny Hop! Register HERE! Head over to the beautiful Heritage Prairie Farm for a day of Easter fun. The egg hunt will begin promptly at 11:00 am. There will be two designated areas, one for children ages 5 and under and one for children ages 6 and up. Along with the egg hunt, enjoy a Children's Storytime with Michelle Schaub at 10:30 am or 11:30 am. Visit the HPF farm animals and check out the great Farm Store. 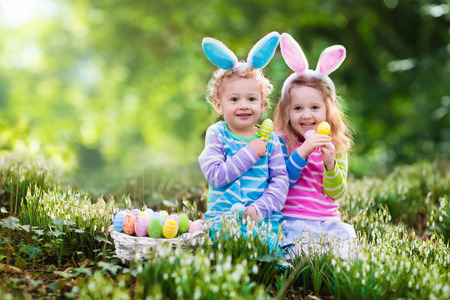 Head to the historic Pheasant Run Resort for one of their two annual egg hunts. The Rullo Team wishes you and your family a very happy Easter! Chicago Home Show this Weekend! Ready to make some renovations or improvements to your Fox River Valley home? Come to the Chicago Home Show this weekend at the Kane County Fairgrounds (525 South Randall Road, St. Charles)! Taking place Saturday, March 18th, and Sunday, March 19th, from 10:00 am to 5:00 pm, you will find hundreds of contractors and awesome ideas for your home projects at this FREE event! Be sure to enter to win Cutco Cutlery and an Echo Dot at the drawing at the door. If you are interested in Buying or Selling your Fox River Valley area home, give the The Rullo Team a call today or visit our website at http://www.therulloteam.com/. Did you know that March is the best time to complete home maintenance tasks? With the weather warming and before the spring showers of April begin, this month allows you to get your Fox River Valley home in tip top shape. Have your home looking and working its very best for the rest of the year and prevent any costly future damage by completing these tasks this March! Check out the state of your roof. With the snow and ice cleared from your roof, it is the perfect time to safely check its condition before spring showers. Look for missing or loose shingles and check for cracks in the flashing or vent pipes. If you want to ensure that nothing gets overlooked, consider hiring a professional roof contractor as many offer inspections for free. If there is an issue, be prepared to pay for repairs to be made to prevent any damage to your home in the coming months. 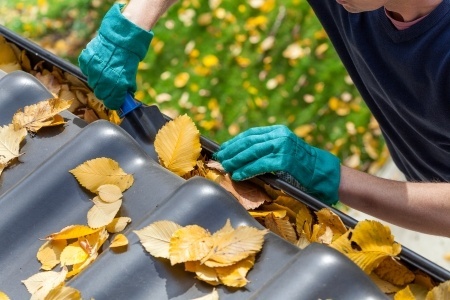 Throughout the winter, debris has been accumulating in your gutter system. It is time to clear them out of all leaves, branches, and anything else you may find in them to make sure that they can properly keep rainwater away from your home’s siding and foundation. After cleaning them, consider adding gutter guards so that you do not need to continue to complete this task into the spring. Your home’s siding takes a beating during the winter. You can easily clean off any dirt that has accumulated and extend the life of your siding with a brush and soapy water. Your home will be ready to sparkle in the spring sun. Take care of your decks. Just as debris accumulates in your gutters, it also accumulates between boards in your deck. Clear out leaves and branches to prevent potential rot. Also, look for any loose boards and repair as necessary. After clearing and repairing, use a cleaning product to help return your deck to its former beauty. Inspect your home’s driveway and walkways. The lifespan of asphalt and concrete decreases with each winter due to snow and ice. Cracks begin to form in the material due to the cycle of freezes and thaws. You can prevent future damage by adding a sealant to any cracks that you find. Consider hiring a professional for any large cracks and holes that you find. Although it might not look like it, spring is right around the corner. March is the perfect time to get your yard prepped so it looks its very best once the warmer weather is here for good. Clear your lawn of large branches. Give the grass an initial cutting to get it ready. Prune rose bushes in mid-March so that they can properly grow after the last frost and add some beautiful color to the outside of your home. Clean your air conditioner condenser. 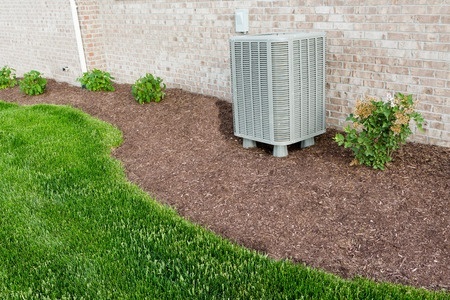 It will soon be time to keep your home cool with the air conditioner. Make sure that it can work properly when you need it by cleaning it out now. Clean out debris and dust that you find in the AC condenser outside. If you want to ensure a thorough cleaning and prevent any damage to the condenser, hire a professional to take care of this task for you. Add caulking to doors and windows. The cold winter weather can damage caulking around doors and windows. Inspect these areas for any cracks which can lead to water entering your home in the spring. Fix the damages with a high quality, latex caulk that is made for exterior use.